Draw pathways in mid-air and guide pony Bob home. 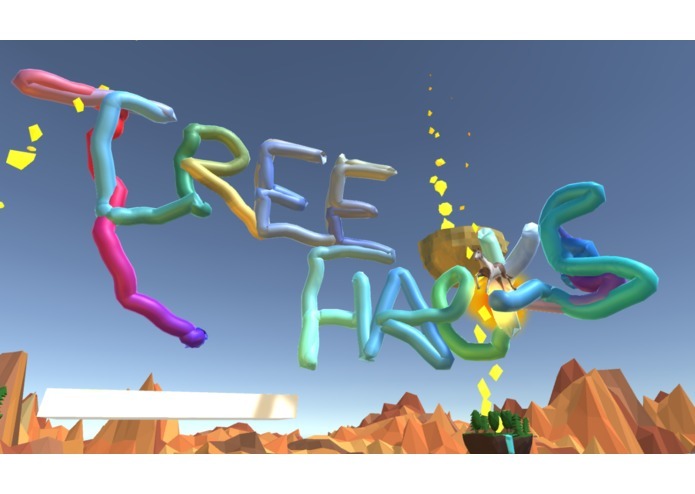 We were inspired by Leap Motion's Pinch Draw module and also bike games like Happy Wheels. Drawing is one of the most intuitive and creative tasks that people has done on 2D surfaces, and we believe drawing can become a more powerful and complex experience in VR because gravity is in our control. We made a mini game because if there is a clear objective that guides the player to fully utilize the tool and the space, they will have a deeper understanding of the medium and feel more secure to explore what the pen in their hands can do. 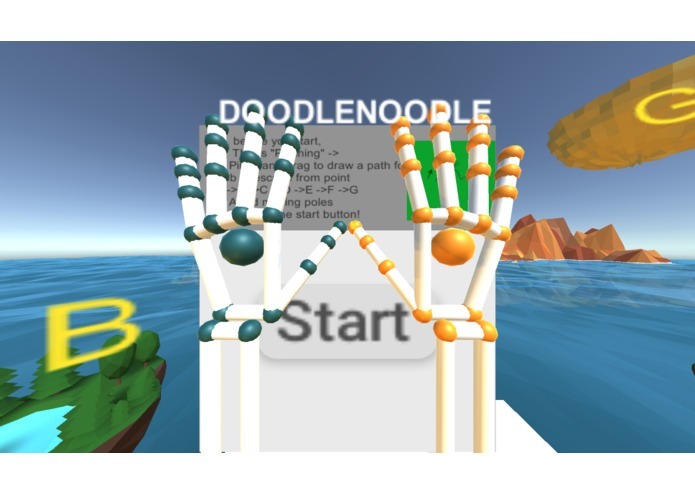 We started with very limited knowledge of both VR workflow and leap motion, so we have to start form reading documentations and watching a lot of tutorials along the way of implementation. The pinch draw gesture was very unstable and it was very very hard to play test. 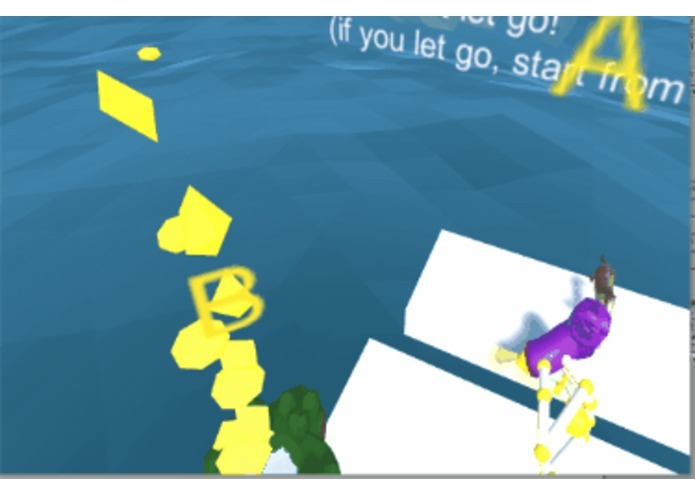 The pinch and draw gesture is now a good working mechanic and the pathways are connected smoothly. 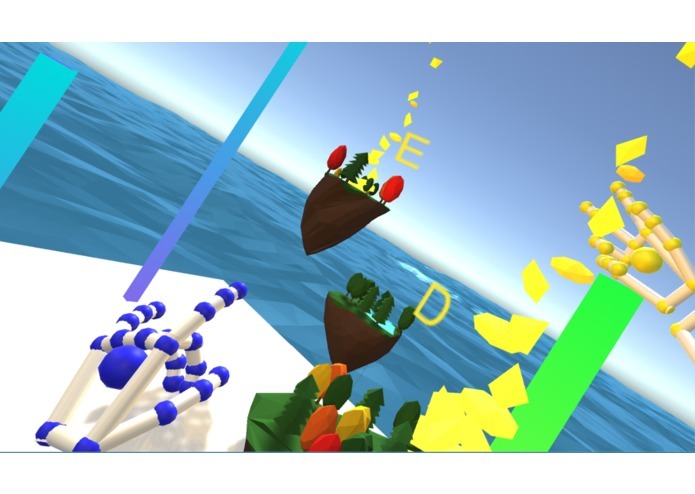 Unity, Oculus, Leap Motion and the flaws in VR controls. Player's expectation and reaction in the VR environment is different from any "traditional" digital medium and we need to make certain design decisions accordingly.